The 13 seasons in professional basketball didn’t come easy. After playing four years and graduating from the University of Memphis, Earl Barron’s name wasn’t called in the NBA Draft. The 7-foot center instead played in Turkey, the Philippines, and the D-League. 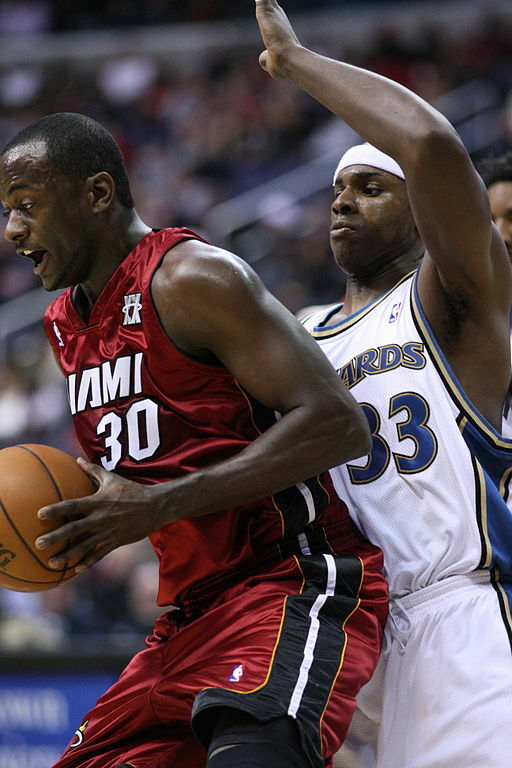 After plenty of hustle, Barron achieved his goal to play in the NBA in 2005 when he was signed by the Miami Heat. He spent three seasons with the team, and not only won a title in 2006 but also added something else to his repertoire. The local basketball star is now among those playing in Day 2 of the WPT Seminole Hard Rock Poker Showdown. Barron found an early double up to grab some momentum before the first break. At the first break, he was up to about 140,000. Originally from Mississippi, the Showdown worked out well in his plans after his wife was coming into town for a birthday night with friends. Barron tagged along to play in the Showdown. The NBA playoffs are now underway and a popular viewing option on the screens in the Seminole Hard Rock tournament area. Barron may be the only player in the field who knows the NBA on-court experience first-hand. His 2006 Heat championship team included Dwyane Wade, Shaquille O’Neal, Alonzo Mourning, and Gary Payton. The Heat trailed the championship series 2-0 before rallying for a 4-2 victory. Along with the Heat, Barron spent time with the New York Knicks, Phoenix Suns, Milwaukee Bucks, Golden State Warriors, and Washington Wizards as well as teams in Puerto Rico, Taiwan, and Japan. After ending his NBA career in 2015, he finished with an average of 4.6 points a game with 3.5 rebounds in 140 games. His time here in South Florida is the highlight of his time on the court, but the 37-year-old also enjoyed playing in New York. Along with his NBA stops, Barron has had some time to travel after playing for several international teams. It’s given him a chance to experience different cultures. What has been his favorite location? One might think athletes on long road trips would be ready to strike up an occasional poker game to pass some time on those long road trips. Maybe break out the chips and cards on the next flight to play the Mavericks or Lakers? However, that’s not as common as many might think. A few of Barron’s teammates played, but not too many. However, a few exceptions stand out. Some of the Suns were regular players including Jared Dudley and Grant Hill. While playing in Milwaukee, some on the team, including trainers and staff, got together for an occasional $1/$2 cash game. One player stands out. “Earl Boykins played and he was a pretty tight, solid player,” he says. Now living in Arizona, Barron plays about three times a week and some tournaments on the weekend. He loves the game and continues to work on honing his skills. After such a long career on the court, Barron now hopes to offer some of the knowledge and skills he’s amassed to others. “I want to start training kids for basketball,” he says. “I see a lot of kids who are trained by guys who have never played the game and don’t understand the fundamentals. I just want to start from the ground up and teach guys the fundamentals. He’s taken that same approach himself at the poker felt. 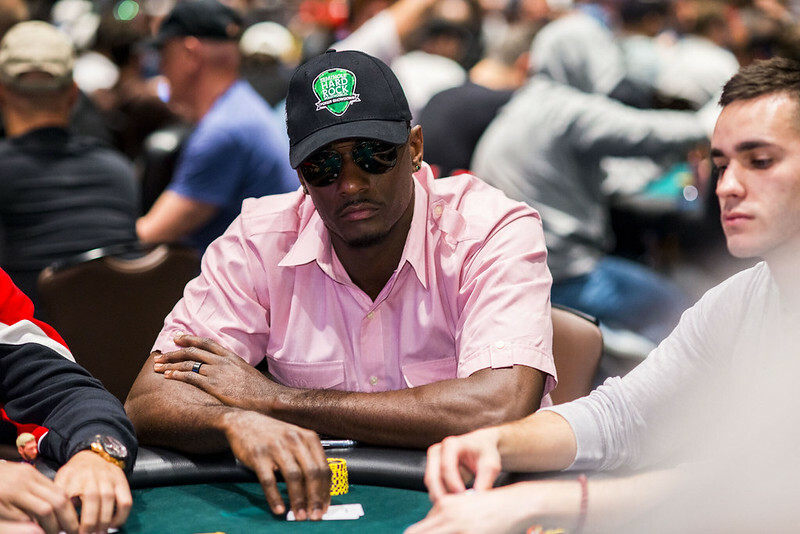 Could Barron be the first NBA champion to add his name to the WPT Champions Cup? It’s not out of the question but definitely isn’t a slam dunk.